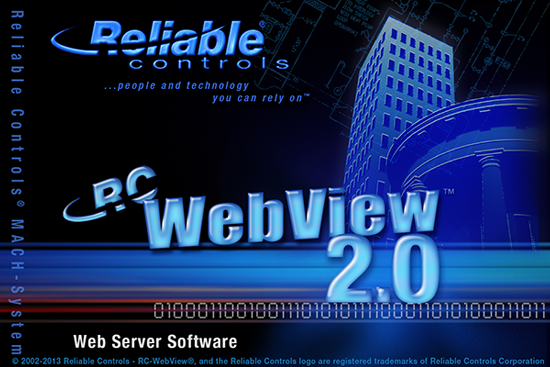 The latest release of RC-WebView® 2.0 offers many exciting additions that make the offering a practical and dependable fit for projects requiring web-enabled building access. One aspect of RC-WebView® 2.0 that often raises eyebrows is its support for BACnet® objects, including BACnet Schedules, Calendars, Alarms, and Trend Logs. In fact, RC-WebView® 2.0 Trend Logs have an appearance consistent with RC-Studio® 2.0, including full viewing and even support for Trend Log data stored in RC-Archive® 2.0. RC-WebView® 2.0 users can also access Trend Log archived data through their browser interface, can export the data, and apply a filter to locate exceptions. Support has also been added for access to BACnet® systems without any Reliable controllers through Workstation Groups created in RC-Studio® 2.0. And, the latest version of RC-WebView® 2.0 allows for user customization – permissions and preferences can be set for menu display, alarm notifications, auto log-off, graphic update mode, requirement for reason for change, and the ability to change Auto/Manual are all configurable for each user.